The process of generating Bitcoins involves huge consumption of electricity, since it cools the mine computers specifically engaged for this purpose. In order to save more from electricity consumption charges, many Bitcoins miners utilize the resources accessible at their company’s premises. Another method adopted by them involves the spreading of malware comprising of Bitcoin-mining. Nowadays, a botnet representing a network of infected computers is used by the malware to mine Bitcoins fraudulently. As a result, the victims are losing hundreds of millions of their hard-earned money. The value of crypto-currencies is stored online in the files stores or wallets. Since, these wallets are accessible online; they can be stolen or compromised just like any other store of value functioning on a computer. The worst situation occurs when the users fail to remember their passwords or PIN, or misplace the computer’s hard drive holding the value store details. In this event, the value store turns out to be perpetually inaccessible. The same problem can be caused by the ransomware. In case, you are holding a bank account, you can access your account by using another computer, and your value remains unharmed. However, the cryptocurrency wallets have a different story to tell. These online wallets can be hijacked on another computer easily. Most financial experts suggest that the best way to protect your cryptocurrency value is to keep it in an offline wallet. As a result, the malware or hackers will not be able to access your value wallets. If you are using an online wallet, it can be best protected with multi-factor verification. The Crypto-currency Trojans sit at your computer and wait for getting the format of a crypto-currency account number. As soon as, it finds an account number, it replaces that account in which you are moving value with their account number. If you fail to notice this, you will be unable to stop it, just the once you hit the send button. In any crypto implementation, the main point to consider is the cryptologic algorithm that is being utilized. In case, if you make an arrangement for any cryptographic solution, the worst sufferers from vulnerability are the blockchain. The deficiency of a secure private key for Bitcoin mining can result in bringing the whole system down. Even though, this is not apparently noticeable, but, it is recommended that earlier than you get involved in a blockchain project or utilizing a crypto-currency; make sure that the programmers are using SDL (secure development lifecycle) processes to curtail bugs. As reported in most of the hacking incidents, cyber-criminals fraudulently hack the crypto-currency software in order to steal value. Any coding mistake committed by the hackers during this fraudulent practice can corrupt everybody’s cryptocurrency wallet sooner than any recovery. Even if the thieves are not successful in stealing money, yet, everybody can get cheated or troubled. The qualities of a good crypto make sure that the ensuing cryptotext is not noticeable to anybody. The cyber-criminals would not be able to work out the original nature of cryptotext. On the other hand, in blockchain technology, the block formats are simple to figure out. In every block, there are instances when same letters, numbers, and characters exist in the same place. On account of this easy figuration, the crypto-attackers get an opportunity to steal the partial image of unencrypted text in every crypto- protected block. In addition, every block is a function of the preceding block. As a result, the entire protection of the basic encryption code gets weakened. Ultimately, the hackers get an opportunity to carry out their nefarious activities. SHA-25 is similar likes its precedent SHA-1, but one doubts whether it would be able to offer the same level of security as in the past. Most security experts observe that SHA-256 is not of much concern regarding Bitcoin and blockchain. The most significant thing is that the world’s powerful financial as well as HTTPS transactions are provided highest protection by SHA-256. In the event, if somebody makes an attempt to break it down, the biggest thing to worry is the security of Bitcoins and blockchain. 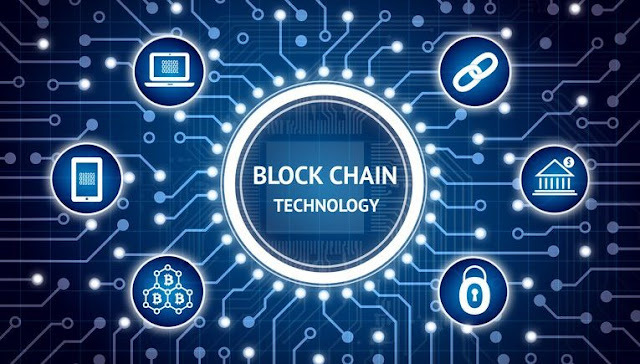 In case, if you are planning to make a blockchain or crypto-currency, you can utilize “crypto-agility,” which, in other terms, is the ability to substitute codes and maintain the basic program. At the moment, one of the most common threats that surround Bitcoins as well as blockchain project is the hacking of the centralized website controlling them. Only last week, there was a major setback to Bitcoins values, when the cyber-criminals fraudulently took over $70 million in Bitcoins. On the similar pattern, many crypto-currency sites managing more than hundreds of millions of dollars were hacked by stealers. These incidents have resulted in the downside value of Bitcoins. The best way recommended is to store your cryptocurrency value in an offline location. There are many instances in which criminals ran away with millions of corrupt money. Therefore, you have to remain very careful while doing business with a crypto-currency web site. Make sure that particular site is fully protected and reliable. No organization is going to safeguard your interest in the event, in case, any mishappening occurs.